WeatherTech Cargo Liners provide complete trunk and cargo area protection. Our cargo liners are digitally designed to fit your vehicle and have a raised lip to keep spills, dirt and grease off your vehicle’s interior, protecting your investment from normal wear and tear. Made from a proprietary custom blended TPE that is not only wear resistant, but also remains flexible under temperature extremes. 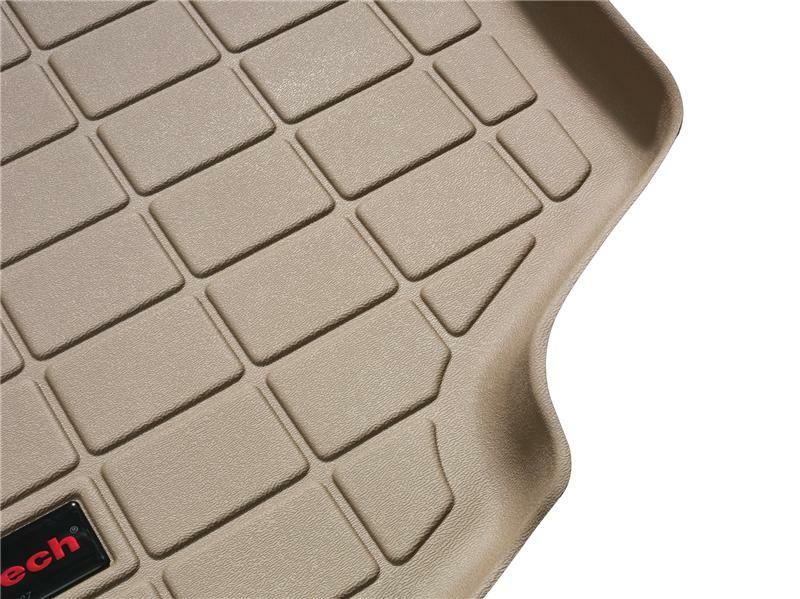 The WeatherTech Cargo Liner features a textured finish which helps to keep cargo from shifting, and is perfect for hauling just about anything from gardening supplies to construction materials to the family pet. Protect your investment with a WeatherTech Cargo Liner. Quality built in America, WeatherTech Cargo Liners meet FMVSS302 standards. Choose from Black, Tan or Grey to complement virtually any interior color. Available for car trunks, minivans, crossovers and SUV’s. WeatherTech Cargo Liners meet FMVSS302 standards. Proudly designed, engineered and manufactured with American made tooling in the USA. WeatherTech Cargo Liners are guaranteed against faulty materials and workmanship for a period of three years from the date of purchase. Exclusions to this warranty are wear due to severe abrasive conditions and chemical contamination, such as spilled gasoline, bleach, etc. We are reasonable people and we believe in customer satisfaction. Depending on the situation, we will either replace your Cargo Liner at no charge or charge you a prorated amount for a replacement.